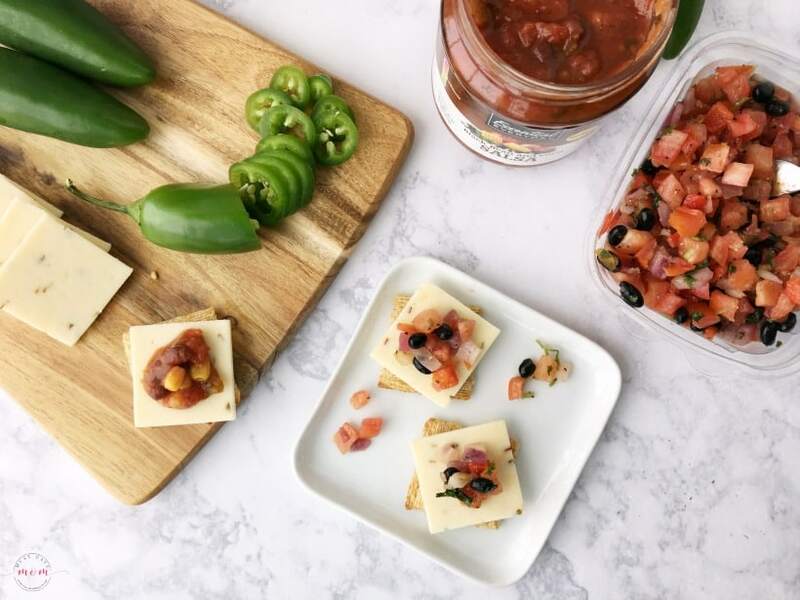 Easy TRISCUIT Appetizer For Game Day + Cub Foods Events! *This post is sponsored by NABISCO and Coca-Cola®. All opinions are my own. 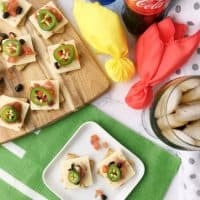 This easy TRISCUIT Cracker appetizer is perfect for tailgate parties or game day football food! They are super easy to make and taste amazing, especially when paired with an ice cold Coca-Cola®! Plus, be sure to check out the Cub Foods events near you for their Game Day Tailgate Zone Party!! Football season is here and Cub Foods is celebrating in a BIG way! 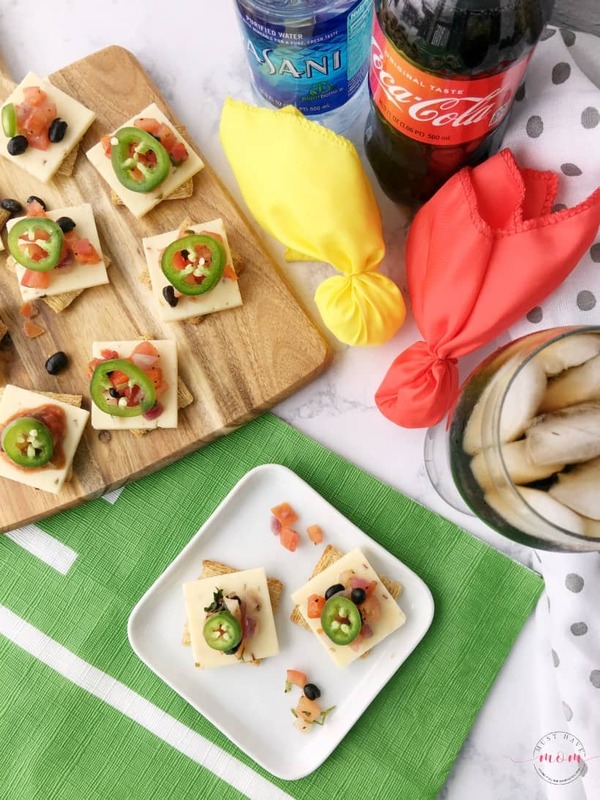 Visit the Game Day Tailgate Zone Party events at Cub Foods throughout the season and enjoy the game with snacks from NABISCO and Coca-Cola®. They’ll also have games, giveaways and the chance to win prizes! 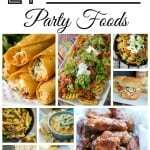 Having plenty of food and drinks on hand is crucial for Game Day whether you’re hosting at home or tailgating at the stadium. 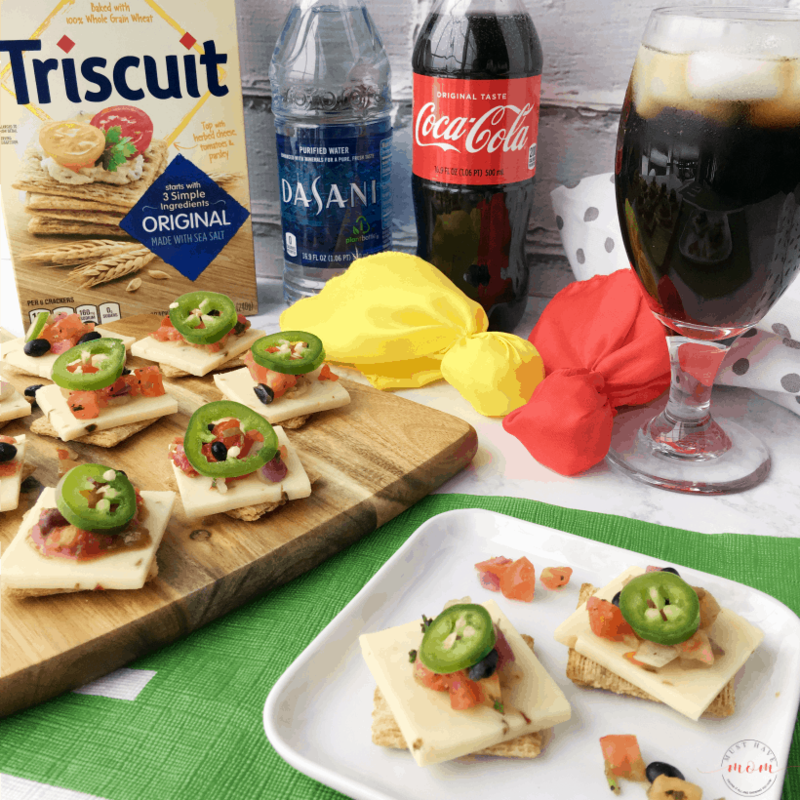 I keep a variety of Coca-Cola® products on hand for guests and think this quick and easy TRISCUIT Cracker recipe is a great bite that celebrates game day in a delicious way! I found two different types of black bean and corn salsa at Cub Foods. 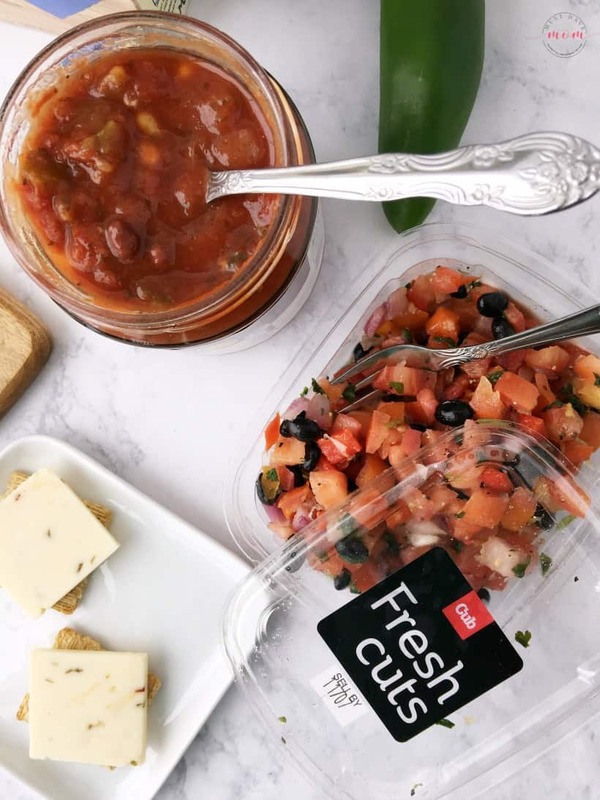 You can pick up the Fresh cuts black bean salsa in the produce section or grab the Everyday Essentials Black Bean and Corn Salsa in a jar (find it in the chip aisle or near the salsa). Top TRISCUIT crackers with pepper jack cheese slices. Then top with black bean and corn salsa. Then, top with a slice of jalapeño . If you don’t like too much heat then you can omit the jalapeño peppers or use a sweet mini bell pepper instead. 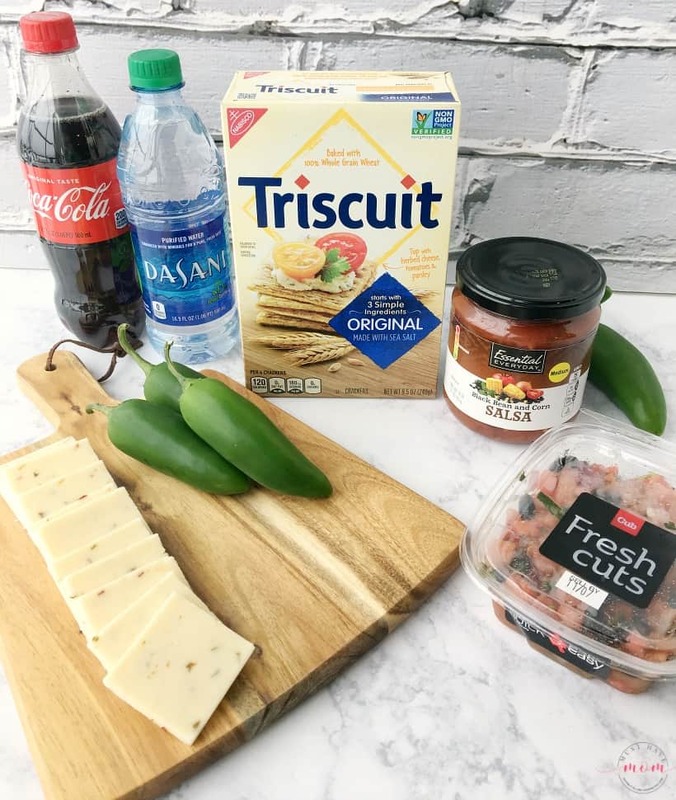 This TRISCUIT Pepper Jack & Corn Salsa Topper pairs well with Coca-Cola® Classic and DASANI® water! Make sure you fill up the cooler for that tailgating party. Don’t forget to visit the Game Day Tailgate Zone Party events throughout the season and play games, enter giveaways and have a chance to win prizes! 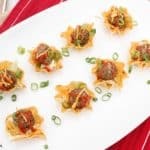 Quick and easy TRISCUIT appetizer for game day or tailgating parties! Then, top with a slice of jalapeño . If you don't like too much heat then you can omit the jalapeño peppers or use a sweet mini bell pepper instead. 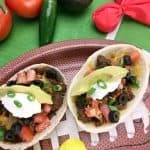 Mexican Pizza Recipe Made In Portable Tortilla Boats For Game Day! « Christmas Outfits For Kids That Are Comfortable AND Cute! On Monday I ate the Triscuit appetizers and today you talk about it, what a tune. hahahaha I confess I loved these appetizers, it’s a great snack for breakfast. This brings me back to college! When I was in college I would do Triscuit pizzas all the time. I love all these other ideas. Great for game day or for a Thanksgiving appetizer. Yum. I love Triscuits. I keep a box under my desk. These TRISCUIT Cracker appetizers looks so delicious and easy to make. I always make sure I have some TRISCUIT Crackers in case company stops by. It makes a great snack. I have been looking for some new appetizer ideas for the holidays. I will have to get the ingredients I will need to make these. I am sure they will be a big hit. I haven’t had Triscuits in forever! This looks like a great treat for Game Day this weekend. I love snacks with a spicy kick to them. I love spicy cheese so much! These crackers are like my perfect snack! 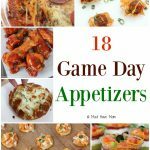 These are great game day apps! Triscuits are my favorite cracker with cheese! Triscuits are so good for this kind of thing. The spice and cheese combo on these appetizers sounds great! I love easy appetizers like this, especially when there is cheese. These will be quick to whip up since there’s no cooking involved. Thanks for sharing this recipe. I’m going to try it out with my family for the holidays. 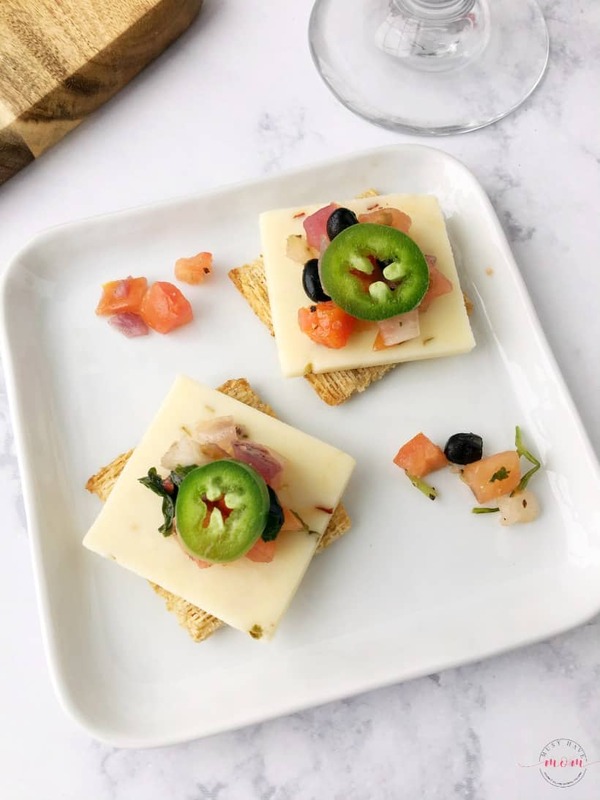 We love Triscuit crackers and these appetizers look delicious! I am not sure where there is a Cub Foods near me though. What a quick and easy appetizer. I love triscuit Crackers, they are ,y favorite. Those look absolutely delicious! I can’t wait to try them, thanks for sharing! Triscuits are my favorite cracker. These look super yummy and easy to make. I am going to have to make these appetizers. My family would love them and triscuits is one of the healthiest crackers on the market. I love Triscuit crackers so I will definitely try this appetizer recipe. It will definitely be perfect for our game day party.